Biscuit and Sausage Gravy Bubble Up recipe inspired by The Ritz Carlton's gravy recipe - quick homemade sausage gravy tossed with refrigerated biscuits and cheddar cheese - simply DELICIOUS! 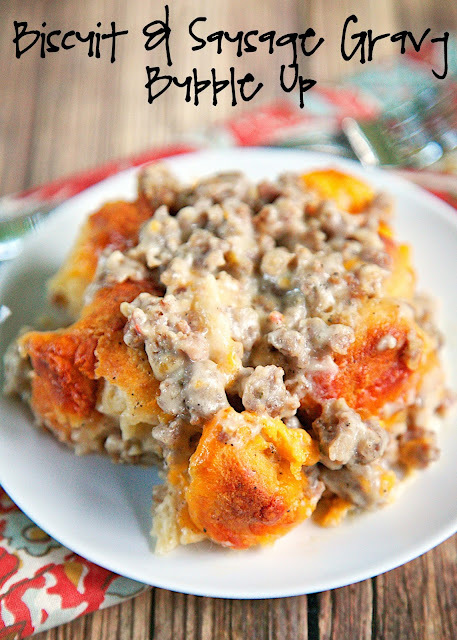 Great breakfast casserole! We like to eat it of dinner too. 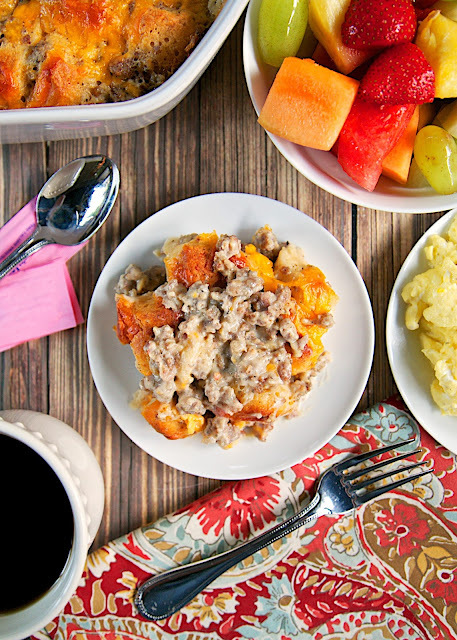 Serve with some scrambled eggs and fruit for a delicious 30 minute breakfast! The recipe was inspired by The Ritz Carlton in Buckhead. We love to stay at The Ritz in Buckhead for a quick weekend getaway to Atlanta. The hotel is located next to two malls and close to some of our favorite restaurants. The last time we were there, our room included breakfast. I love their breakfast buffet; especially their sausage gravy. 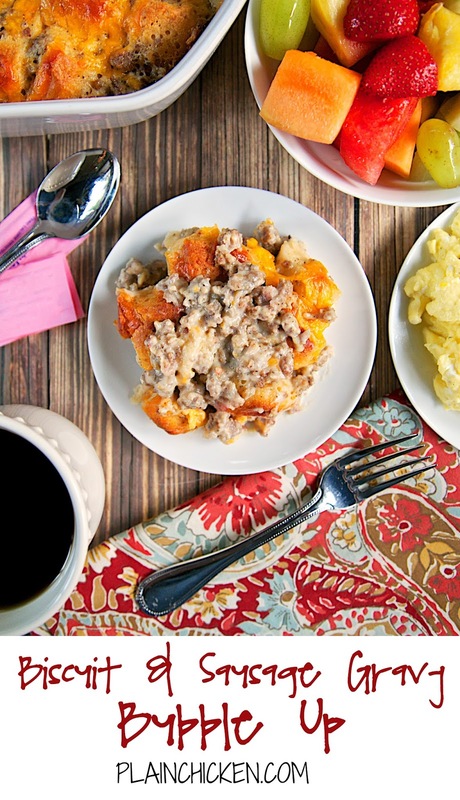 It tastes different than your usual sausage gravy. It has a different flavor. I finally figured out that it has Worcestershire sauce in it. I happen to love Worcestershire sauce, so I think it is THE BEST! I've had a Biscuit and Sausage Gravy Bubble Up on my list for a long time. I finally decided to make it using The Ritz Carlton gravy recipe. OMG! I am in love! This is DELICIOUS! I could have eaten the whole thing! I had to use all of my self restraint to not over do it with this casserole. I am already planning on making it again. We served this with some scrambled eggs and fresh fruit. Perfect! Cook sausage in a large skillet over medium-high heat until crumbly and no longer pink; remove from skillet, and drain. Melt butter in skillet over medium-high heat; whisk in flour. Whisk constantly for 1 minute. Gradually whisk in milk, Worcestershire sauce, salt, and pepper. Bring to a boil, whisking constantly; cook 2 minutes. Remove from heat. Stir in sausage. Cut each biscuit into 6 pieces. 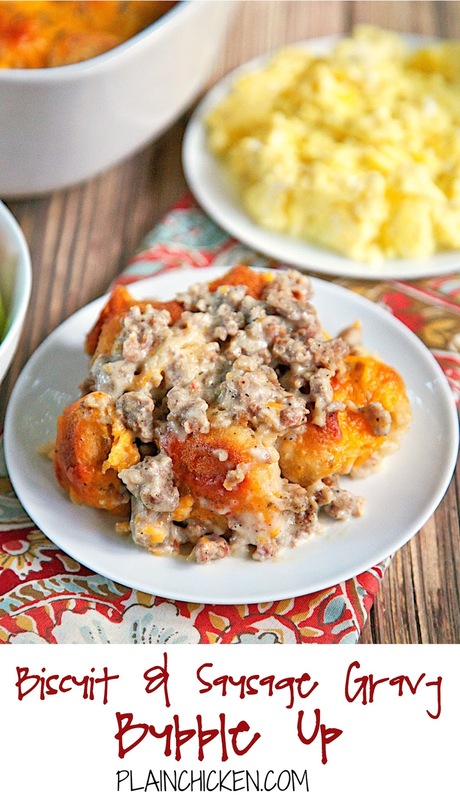 Toss with sausage and gravy. Pour into prepared pan. Sprinkle with shredded cheese. Bake 25 to 30 minutes or until golden brown. Am I correct in that the biscuits are NOT baked prior?? Correct. 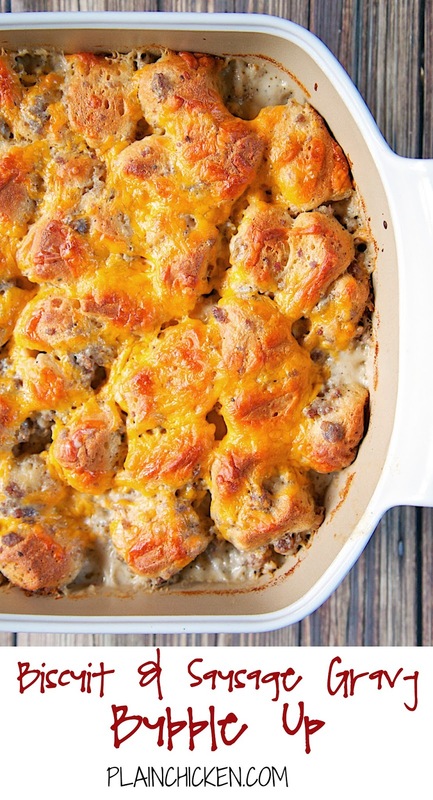 The biscuits bake with the gravy in the oven. Enjoy! Looks way too good Steph and I'll save it for a treat after I lose some weight. This looks & sounds marvelous! Printed it out & will get back to you later about how delicious it was! I reeeeeally think you have just made your mark. THIS. IS. BRILLIANT. I can't wait to make this! Do you think this could be prepared the night before and baked the next morning?